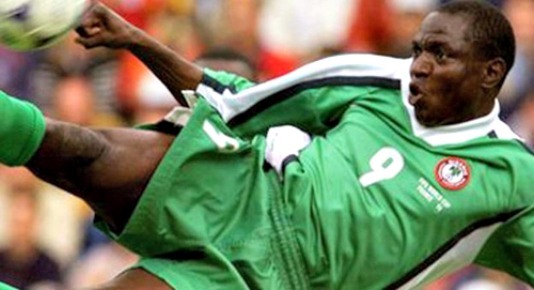 Rashidi Yekini was the African footballer of the year in 1993, he is one of the best strikers Nigeria ever had and he scored Nigeria first ever goal at the FIFA world cup against Bulgaria at USA 1994. Born on the 23rd of October 1963 in Kaduna to parents of Yoruba origin, he had his primary education in Kaduna and played football for fun on the street of Kaduna. 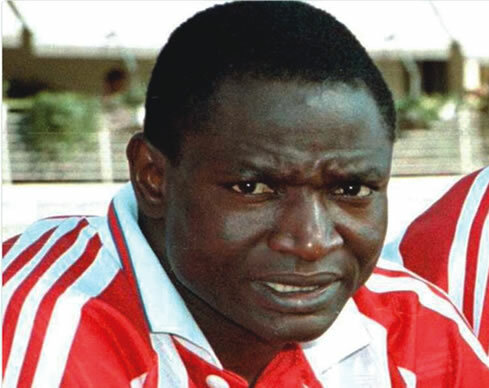 He started his professional football career at UNTL Kaduna before moving to Shooting stars of Ibadan from 1982 - 1984. He later move to Abiola babes and Africa sports before moving to Europe in 1990 where he played for Portuguese club Vitoria setubal, Greek side Olympiakos and host of other clubs before moving back to Africa in 1999 and ending his career at Gateway FC of Ogun state.